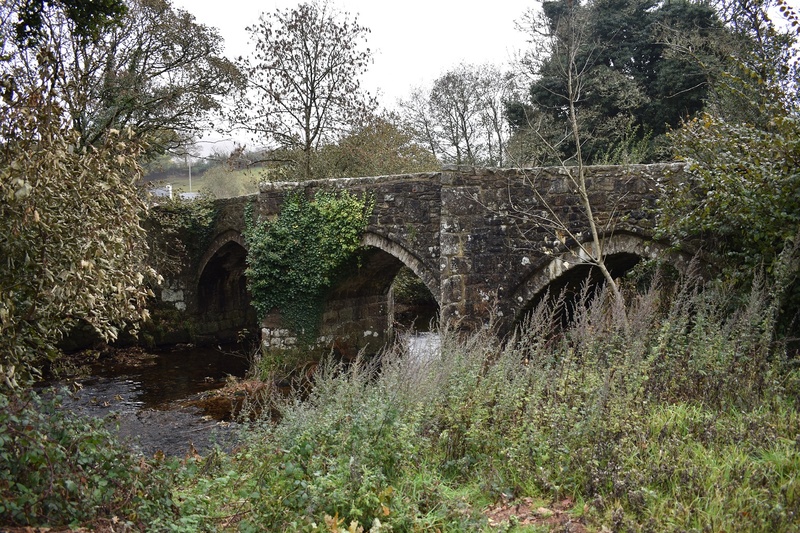 This is a road bridge that spans the Teign River just outside of Chagford. The bridge has 3 arches and has been in place, it is believed, since the 1590s. 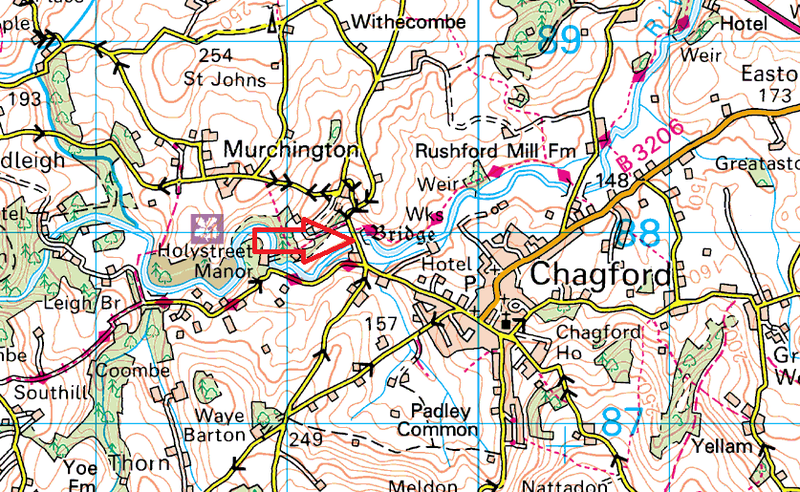 There are maps somewhere that say a bridge was here from around 1200, but this structure is believed to have been built in the 1590s. The road over this bridge leads from Chagford to Murchington and is pretty narrow and only really passable with a car.